After a chance job working for the top florist in Charleston, South Carolina (shout out to Tiger Lily! 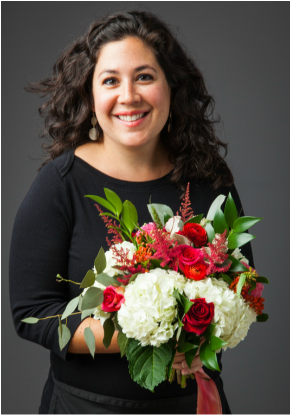 ), flowers by stem owner/lead designer Stephanie Cullerton Stopka left her career in advertising to attend floral design school. Stephanie founded flowers by stem in 2006 with the belief that the key to beautiful design is a personalized approach. To this day, Stephanie attends to every design detail, from initial consultation to final set-up. Stephanie grew up camping and fishing with her family, and brings that childhood love for nature to all of her designs. 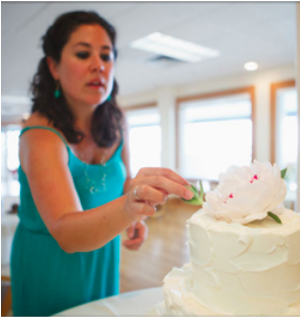 She is committed to an eco-friendly approach to floral design and sits on the board of the Green Wedding Alliance, a local organization of environmentally conscious wedding vendors. Stephanie is continuously inspired by the city of Chicago and resides here with her husband and their three beautiful flower girls. The best part of this business is creating beautiful moments that celebrate some of life’s biggest events - it's an honor we cherish! Flowers by stem is as a full-service floral design firm for weddings and events in and around the Chicago area. We believe that flowers can inspire beautiful moments. Whether it be a bouquet as unique as you are, or a vibrant centerpiece that captures the essence of your celebration, flowers by stem brings your vision to life using quality, seasonal flowers. We love creating innovative, one-of-a-kind experiences through our flowers and draw closely from our client's inspirations. Owner/Lead Designer Stephanie Stopka will work with you to deliver your vision using the highest quality flowers available. Passing it on - we love to coordinate flower donations after events. Many of our flowers enjoy a second life at nursing homes and hospitals around the city. Some lovely reviews from our lovely clients…. 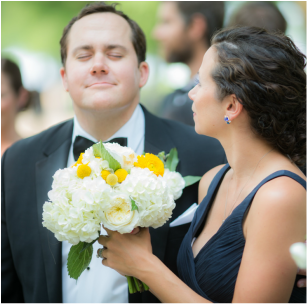 “Stephanie has a real warm and genuine personality that transfers into her work. Her quotes were easy to follow in terms of pricing/detail, so if any changes needed to be made (and we went through three revisions), they were easy to track. On the day of, I was blown away by how lush and gorgeous the bridal and bridesmaids bouquets were. The arrangements…were like visual candy for our guests’ eyes when the reception space was revealed. I did provide some heirloom vases to be used and when I went to pick those up from her studio following the wedding. She included 1/2 dozen roses "just because". It's those caring little details that make her extraordinary at what she does.”- Rena L.